The credit score for your business is created and compiled in a manner similar to your personal score. Using your business’s Taxpayer Identification Number (TIN), vendors and other entities that extend your business credit will report the timeliness of your payments to the major credit reporting agencies. If you pay your obligations on time, your credit score will move higher. Become delinquent or default and your score will move lower. There are scenarios where your credit score may not accurately reflect your business’s financial stability. If you feel that your business’s current score is not accurate, and you would like to improve your score, consider these steps. The first and most important step to increasing your credit score is to make sure all of the applicable debts are in your business’s name. When you first opened your doors, you may have taken loans in your personal name or in the name of the owners. This is often necessary since, at launch, your business has no credit of its own. However, as the business grows, it will develop a legal identity and a financial profile. When possible, this should be used to secure business debts independent of your name. If you have an existing business loan secured with your personal information, replace it with a loan secured in the business’s name. Credit scores are determined using a complex algorithm, and a key part of this algorithm is how much worth your business has compared to its debt. By building up your assets and capital, you can increase your business’s credit score. If you do not have a large initial asset base, consider taking on investors. Unlike loans, funds from investors do not count as debt, and they will only add to your asset base without increasing your debt load. One factor used in determining a credit score is a measure of the total credit available to your business versus how much of that credit is currently in use. By increasing the amount of total available credit, and keeping the amount of credit in use reasonably low, you can boost your credit score. Open a business credit card, and use the card wisely. As long as the balance remains low, and you pay the bill on time, this will help your score. 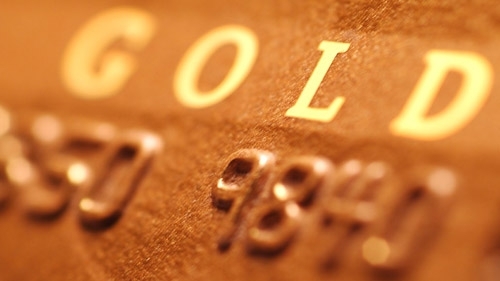 Do not open too many credit cards, however, as this can also drop your score. The most basic advice about credit is also the best: build your credit by paying your debts on time. When you pay off your credit card each month, you receive a boost in your score. A consistent history of on-time payments is the best thing you can have to help your score. You will see the largest increases when you pay off big loans, such as your start-up loan. To help build your credit, finance business materials or machinery and pay off the debts on time. Kevin Sasser is Vice President at Company.com. A seasoned industry veteran with 20 years of experience in bringing products and services to market, he is responsible for developing and managing Strategic Partner relationships, including contract negotiations, establishing sales and distribution channels, and ensuring that revenue producing initiatives run smoothly. In addition, he also manages the P&L for a subsidiary of the company that provides vertical-specific web and social media solutions. Before joining Company.com, Kevin worked in the technology space serving the financial services industry and was Senior Vice President for the Commercial Payments division of Goldleaf Financial Solutions.